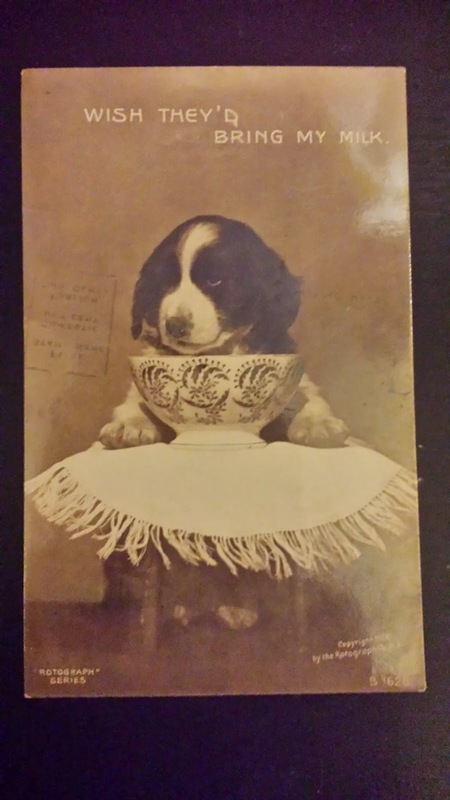 I love old post cards. They're a great seller for me in my antique booth. The dog looks like a spaniel of some type (to me). 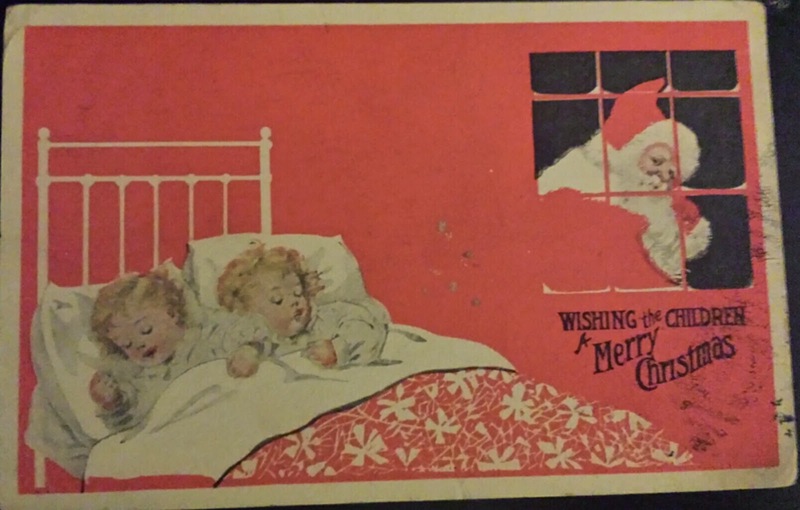 I enjoy old post cards and love to read the message and address...just fun to look at! Old postcards are just the best value. I love decorating with them and reading them too! Love your postcards--I have a ton of them. Is that an English Spring Spaniel puppy? Whatever it is, it's darling. Make that "Springer". Need to proofread before I hit that Publish button!